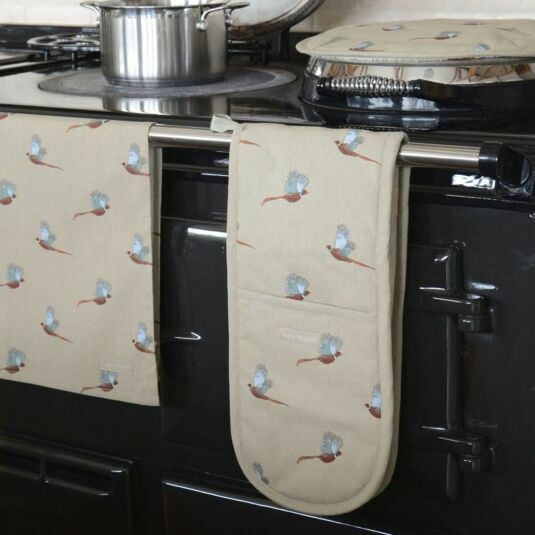 Part of Sophie Allport’s Pheasant collection of fine bone china and kitchen textiles, this double oven glove features some magnificent long tailed male Pheasant gamebirds on a stone green background. Sophie has captured the distinctive rich chestnut, golden-brown and black markings on the body and tail, with a dark green head, red face wattling and white ring around the neck. 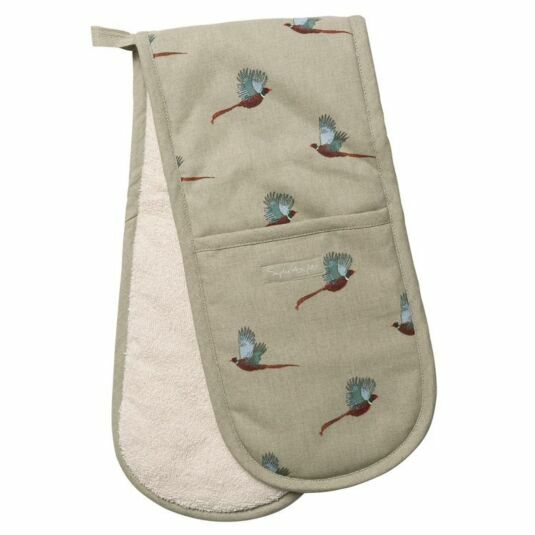 Classy, elegant, and full of country chic charm, it has 2 hand pockets, great for getting large dishes out of the oven; it also features a hanging loop in the middle of the glove. The Sophie Allport embroidered logo tag features on a pocket.